The map uses DEM on its background. 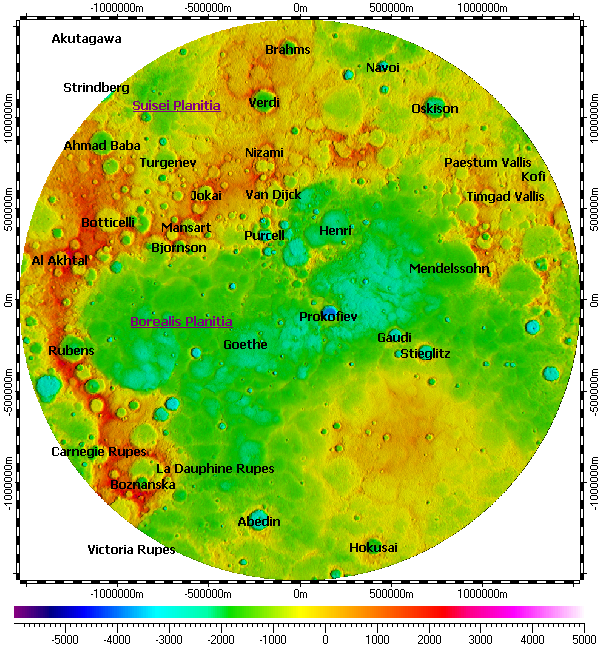 The DEM derived from refactored data of Mercury Double Imaging System (MDIS) of MESSENGER mission with resolution 665m. Installation archive “All vector layers of Mercury”. Installation archive “DEM of North Pole of Mercury”.